Pick your ideal atmosphere (from rugged to luxurious) and then head to these California hot springs! The California hot springs beckon visitors from all over. California natives and east-coasters are drawn to the healing mineral waters found at the California natural hot springs. For many years, the geothermal heating of such mineral waters was a highly sought-after place. Many swear by the health benefits of the hot mineral springs, and there aren’t just placebo effects! These mineral baths contain calcium and sodium bicarbonate among other minerals. Soaking in these hot springs can help your blood circulation and relieve stress. Rather than create a California hot springs map, we’ve categorized this ultimate list of California hot springs by type. We realize that you’re most likely looking to make your hot springs trip a weekend getaway or vacation, so these are the places you should head. Or, add these hot springs to your California road trip! If you’re looking for some more rugged, natural springs, you’ll find them on our ultimate list. Some resorts have taken over the hot springs, so you can be sure you’ll be treated like royalty while you soak. Whatever preference you have for your “soaking atmosphere,” these ultimate California hot springs destinations mean that you can soak your worries away! Located in the desert valley of northeastern California, Surprise Valley Hot Springs offers a truly relaxing getaway. As one of the best California hot springs, Surprise Valley offers spectacular views while you get to soak. Choose among a variety of room styles. The majority of these rooms have their own, private outdoor soaking tubs that are fed by the mineral waters. The area is naturally beautiful and offers plenty of good outdoor activities. This hotel is secluded so you can step away from the busy rhythm of daily life and soak in these minerals springs in California. When you’re not enjoying the hot springs, you can explore the town of Cedarville just five miles away. Located two hours north of San Francisco, Vichy offers a sweet retreat destination with hot springs in California. Truly unwind here at Vichy since it’s a full hot springs resort. Stay in the rooms or cottages accented with beautiful landscaping. Vichy covers a 700-acre private property, so you can explore by walking or hiking. The mineral baths are naturally warm and carbonated. When you stay on the Vichy property, you’ll have full access to these California hot springs. The mineral water for the Vichy baths flows from 30,000 feet underground and into their (over) 150-year old tubs. Additionally, you could choose to swim in the large swimming pool, or the cold-sourced mineral pool that’s heated so you can enjoy it in the evenings. Lastly, since this is a California hot springs haven, you can hike to the Chemisal Falls Pool if you’re up for an adventure. At the base of the falls, you can swim in this natural pool (though it’s chilly!) After your hike, head back to your private tub to soak in the hot springs. Mercey Hot Springs, located in Firebaugh California, offers a tranquil destination for true relaxation! Mercey Hot Springs is located in Fresno County, northeast of Big Sur. It’s simple, natural, unrefined, and calm. 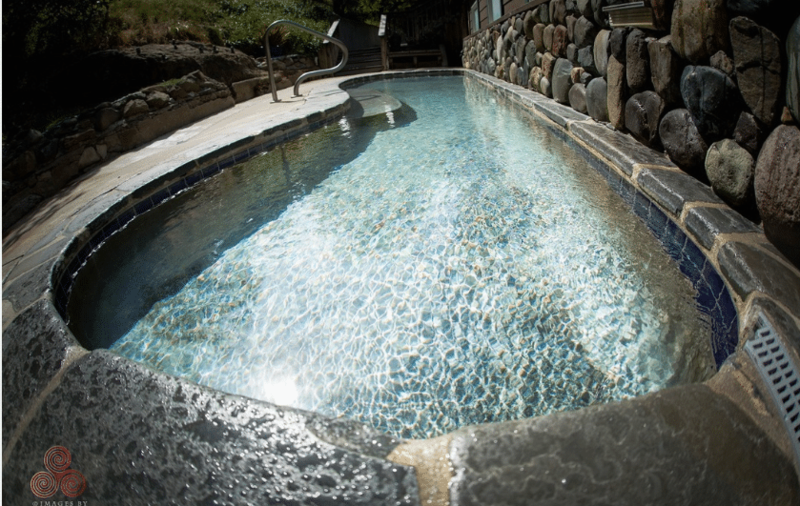 Enjoy some outdoor activities, and of course the hot tubs with naturally warmed hot water. You can choose to camp at Mercey Hot Springs, or choose one of their accommodation options: cabins, airstreams, or a group house called Walkabout. Additionally, there is a nice swimming pool (though not a natural spring). And of course, there are the hot springs: totally natural therapeutic tubs with the mineral water. You can even access specifics about the waters on the Mercey Hot Springs Website. 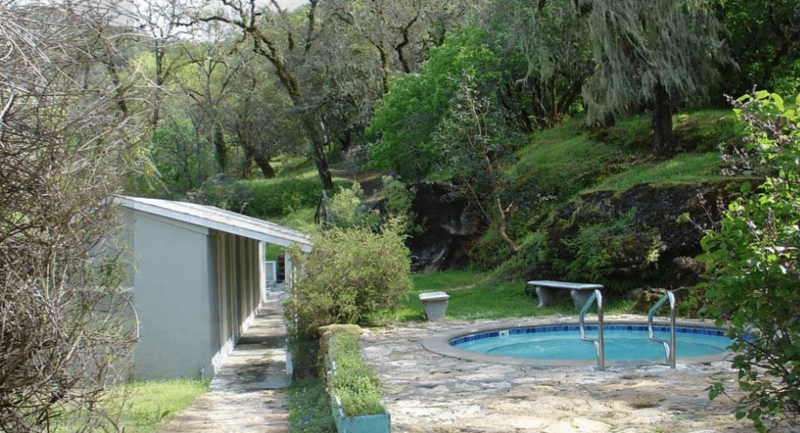 Head out to Calistoga Spa Hot Springs, Located west of Sacramento, in Calistoga. Here in Napa Valley, a stay at these California hot springs means you’ll be truly pampered. There’s plenty of room to lounge around the pools, which are beautifully landscaped and accented with palm trees. While the hotel and spa and its amenities are lovely, the true reason for your visit will be the mineral springs! The Calistoga Spa Hot Springs offers four geothermal mineral springs. 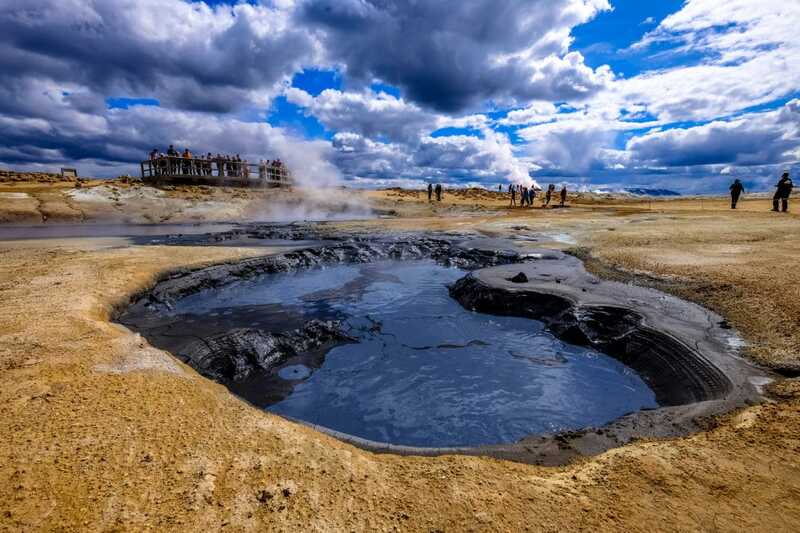 Geothermal sources bring the temperature to about 180 degrees at the source. It’s one of the best places to experiences California hot springs. Additionally, you could relax in the heated whirlpool even during the winter months. While you’re not relaxing in these hot springs, treat yourself to a massage and a volcanic ash mud bath. 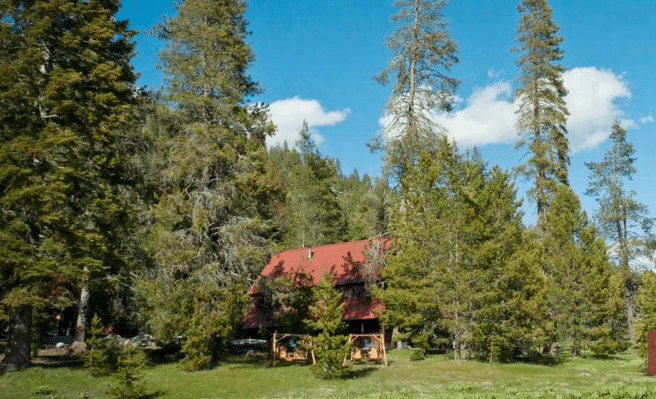 This guest ranch, located in Lassen Volcanic National Park, is a truly relaxing experience. This national park offers northern california hot springs, and bubbling mud pits. Bumpass Hell is one of these hydrothermal sites. When you stay at Drakesbad Guest Ranch, you’ll experience the stress-free life of spending time in natural beauty. The cabins or rooms available for rent don’t have wifi, and cell service isn’t the best. Therefore, this “unplugged” experience in a bucolic setting is exactly what many travelers desire. This area offers soothing mineral waters, and Drakesbad Guest Ranch invites you to soak in the therapeutic hot springs pool. Guests are often left in awe from star gazing here at the ranch, and you can stargaze while you soak! In the evenings, the water is heated. Drakesbad Guest Ranch earned its name from Drake’s Bath, since Edward Drake diverted these waters to create a bath. When you’re not in the pool, you can enjoy the various outdoor activities the geography of the area has to offer: hiking, fishing, horseback riding. All three of your meals come with an overnight stay at the ranch. Located in northern California in the Sierra Nevada, Mono Hot Springs offers some upscale “camping” adventures and opportunities to relax in the natural beauty of the area. You’ll get to stay in a nicely equipped cabin (with wifi). Mountain decor accents the area, with lodgepole railings, taxidermied animals and buildings that look as though they could be ranger stations for a national park. The grounds remain natural and rugged (ie no concrete walkways). If you’re looking for an adventure and wanting to head into the woods, Mono Hot Springs Resort is for you! Named after the Mono Indians, this group of people introduced others in the area to the healing benefits of these California hot springs. In the bathhouse on site, you’ll get your own private room and tub. Additionally, outside you’ll have the chance to relax in the mineral pool while taking in the spectacular views of Mount Hooper. Access to the bathhouse is free for those who are renting one of the cabins on the property. You can, however, just visit these hot springs for a day fee. Find information on those rates here. You’ll find these California hot springs in the Mendocino Coastal area, between the towns of Mendocino and Ukiah. The 27-acre property is truly beautiful and tranquil thanks to its secluded geography. The hot springs bathhouse combines several underground springs and originate at 106 degrees. Orr Hot Springs offers both private soaking tubs and “stargazing tubs” on the bathhouse deck. You can also choose to enjoy the pool, where clothing is optional for you. The landscaping around this pool contributes to the tranquil atmosphere; it’s built right up against the rock of the hillside, with plenty of lush vegetation surrounding. Around the swimming pool, you’ll find gas-powered sauna and steam rooms. Orr Hot Springs is a popular destination for those seeking the northern California hot springs, so they suggest making reservations for your overnight stays or day trips. Orr Hot Springs Resort is a unique atmosphere; clothing is optional, and there aren’t restaurants here. You’ll get to use the communal kitchen, and you’ll have to bring your own ingredients. For your accommodations, you can choose to stay in a campsite, a yurt, a room in the Creekhouse, or a cottage. When you’re not soaking in the hot springs, you can do some hiking in Montgomery woods, or relax with a book. Orr Hot Springs Resort is a tranquil, unique atmosphere that will make for a great stay. Northern California features some excellent hot springs resorts, and Wilbur Hot Springs is another to add to that list. Soak in the hot springs at this destination which emphasizes relaxation and introspection. Wilbur Hot Springs rests in the middle of an 1800-acre nature preserve. It’s off the grid and perfect for some intentional relaxation. There’s some Japanese-inspired architecture with the coverings for some of the hot springs baths. The onsen (Japanese for hot springs) covers some of the warm, semi-outdoor baths. The mineral waters here at Wilbur Hot Springs are naturally hot. A large deck surrounds the pool and baths area. You can soak while enjoying the expansive views of the hills and sky. The property itself is beautiful, and the structures of Wilbur Hot Springs don’t detract from the natural beauty, but rather it seems to blend right in. This California hot springs destination offers some unique accommodations; choose between some standard, private rooms, or sleep in a hostel-like set up where you can just pay for a bed in a bunked room. Additionally, you can stay in a campsite, or private rooms with shared spaces. These California hot springs at Wilbur make a great, relaxing destination to soak the stress away. Plus, the unique atmosphere here is truly comfortable and laid-back, so it’s great for first timers at a clothing-optional destination. Travertine is a popular destination for those looking to soak in some natural hot springs. 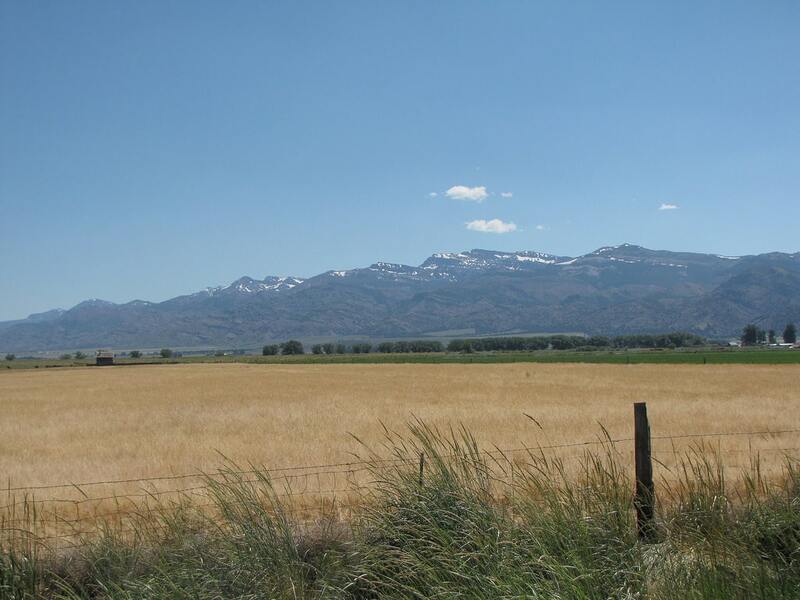 To get there, you’ll head just five minutes away from the town of Bridgeport and take a dirt road for about a mile, off of Route 395. This geothermal location is close to the border with Nevada. There’s a parking area and restroom, but not much else besides spectacular views and the warm pools. There’s a larger pool, for around eight people, and then smaller pools to fit about three each. Clothing is optional while you enjoy your soak. Located in the Mojave Desert in Southern California, this hot springs tub is pretty small. The positive is that it’s free and without much of the additional construction of other hot springs areas. The town of Tecopa offers two resorts for hot springs, but this specific desert hot springs is a fun destination to head out to for free. A large palm tree marks the location of this concrete bath with warm, mineral waters. You’ll find these hot springs waiting for you in the sagebrush plain with a backdrop of mountains. These hot springs (two pools) can get a bit crowded, and there’s not a whole lot of room in either of them. A long boardwalk delivers you to these pools, which are reinforced with concrete, yet natural-looking. It’s beautiful to soak here, with the expanse of the plains leading up to the rising mountains. This hot spring pool is an adventure to get to, and that’s exactly part of its draw! It’s located in Southern Sierra along the Kern River. You’ll have to hike in and swim through this river to access the hot springs. In our minds, it’s worth it. You’ll find yourself in an isolated hot springs with some huge boulders and neat geography! Check out all the great hot springs California has to offer. Perhaps you’re looking to stay overnight at some hot springs for a tranquil, stress-relieving getaway weekend. Or, perhaps you want to adventure to a left-untouched, natural atmosphere. With so many options, these California hot springs are where you should head. California’s concentrated geothermal pools makes the state a great destination for these hot springs, and these are the ones you should head to. You can add these hot springs to your tour of the national parks in California! Plus, we'll throw in two more bonus hot springs! We also suggest Remington Hot Springs and Grover Hot Springs, both located in natural settings. The benefits of these mineral waters means ultimate relaxation and rejuvenation, so pick a pool to head to and reap the healing benefits! Alison enjoys writing, traveling and teaching. She's traveled lots throughout Ireland, Italy, France, Germany, Spain, the Caribbean and much of America, and loves the chance to meet people from all over.